Knowledge is power. It is also the only resource that increases with use. We want to see the work we fund used by as many people as possible. Here we share the research and results from our grantees' work, so that you can use it. All work is licensed under a Creative Commons license because we believe that when we share, everybody wins. 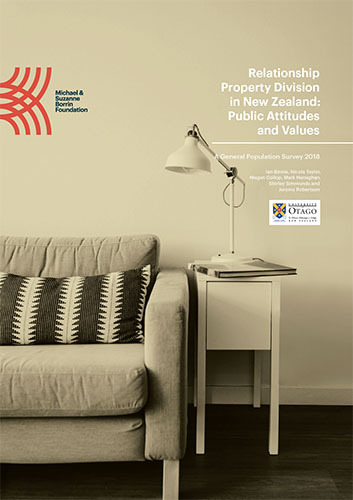 An interdisciplinary research team, led by Otago University, set out to find what views New Zealanders held on the division of relationship property on separation. This socio-legal research has helped to inform the work of the Law Commission, in its review of the Property (Relationships) Act 1976 (PRA). This work focusses on the provision of cultural information in the sentencing process. This includes the use of speakers and reports (pursuant to s27 of the Sentencing Act 2002), and how this can fit within sentencing principles and practices. This work was completed by Te Puea Matoe (Te Roroa) of AUT, under Khylee Quince’s supervision. Te Puea received a Borrin-Ngā Pae o te Māramatanga (NPM) Legal Research Internship Award for 2017/2018. Māori mothers are over-represented among parents charged and convicted of negligent parenting practices in Aotearoa. This research contributes to a mātauranga Māori-centred critique of their prosecution and conviction. 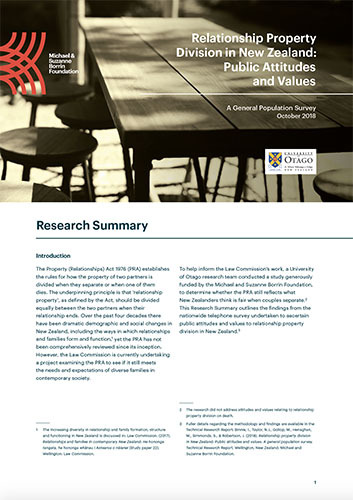 The research paper was completed by Natanahira Herewini (Te Rarawa, Ngāti Kahu, Ngai Takoto, Ngāti Kurī, Ngāpuhi, Te Aupouri) of the University of Auckland, under Fleur Te Aho’s supervision. Natanahira received the inaugural Borrin-Ngā Pae o te Māramatanga (NPM) Legal Research Internship Award for 2017/2018.